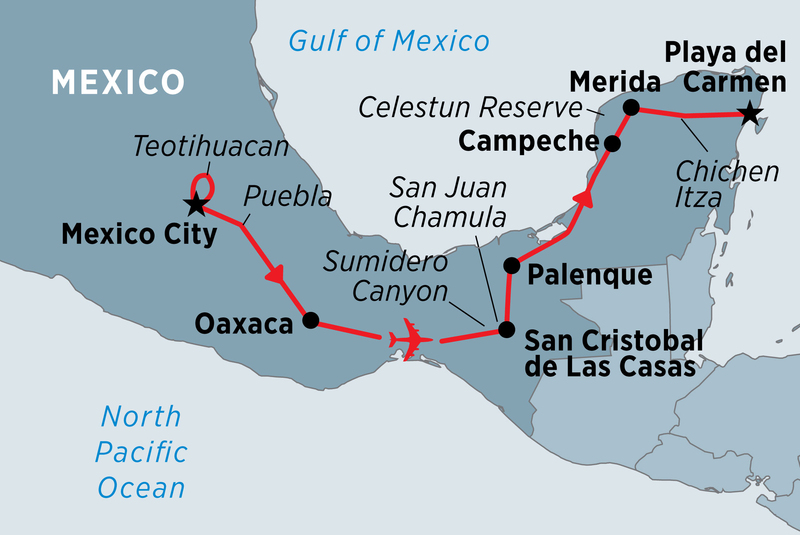 This is our most comprehensive tour in Mexico. Having explored Mexico City and the great ruins of Teotihuacan, we discover the delights of Puebla and Oaxaca before continuing southward to the town of San Cristobal, complete with its traditional Indian communities. The magnificent Palenque Maya ruins are next, along with the Yucatan Peninsula including stops in Merida and the Maya site of Chichen Itza. Finish on the powdery beaches of Playa del Carmen with your feet up and a margarita in hand.